Seven friends gather at Masamichi's (Shuji Kashiwabara) house in Kyoto, where he'll soon begin graduate studies. 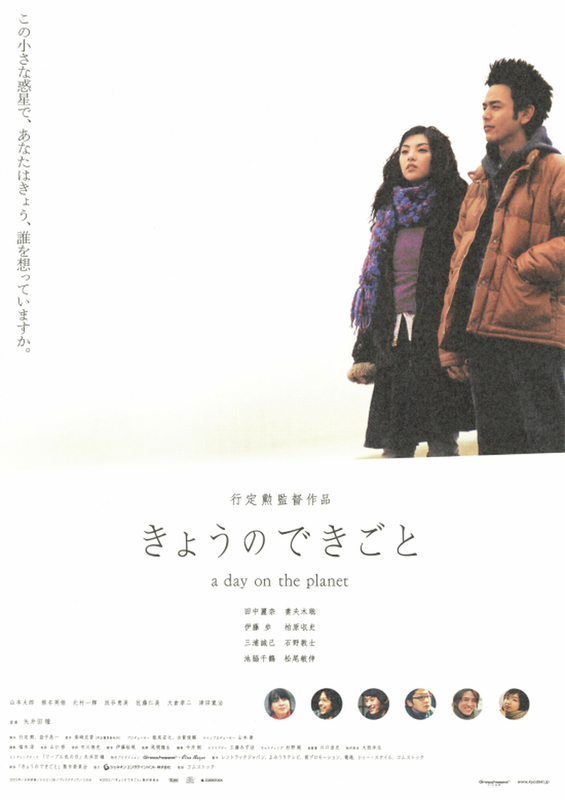 All of them college students; Nakazawa (Satoshi Tsumabuki), an aspiring filmmaker still contemplating his first project, his adorable girlfriend Maki (Rena Tanaka) who decides to open a small barber shop in the bathroom, Nakazawa's best friend Kate (Ayumi Ito) whose sole preoccupation is the boyishly handsome Kawachi (Toshinobu Matsuo), intimidating the insecure boy while ignoring all of Masamichi's other classmates, the scruffy Nishiyama (Masaki Miura) and the seemingly detached Sakamoto (Atsushi Ishino). Bottles are emptied, but the night is still young. Breaking news about a whale stranded on a beach and a man (Koji Okura) stuck between two buildings are broadcasted live on tv. It is just another day in their lives, and yet so many things happen; short precious moments, fleeting thoughts, mundane events, unusual incidents, both trivial and significant, whether they're experienced in their hearts or in the real world around them. Based on novel "Kyo no Dekigoto" by Tomoka Shibazaki.